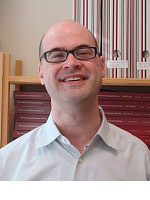 Wallace P. Mullin is Associate Professor of Economics, at The George Washington University, where he has been a faculty member since 2002. He served as a Senior Economist with the President's Council of Economic Advisers in 2001-2002. Much of his research has employed historical episodes to shed light on contemporary issues of firm behavior and antitrust enforcement. His research with David Genesove has studied how firms create and maintain market power. One strategy for coping with entry is to greet entrants with low, predatory prices. Predation can force the prey to sellout on favorable terms, and may deter future entry. That was the strategy employed by American Sugar Refining Company. We contend, in a 2006 Rand Journal of Economics article, that the price wars following two major entry episodes were predatory. The argument is two-fold: by a comparison of price to marginal cost, and by construction of predicted competitive price-cost margins that exceed observed margins. Predation operated by strengthening the dominant firm's reputation as a willing predator. Market power may also be created by a group of firms acting collusively, or attempting to soften competition between themselves. That appears to have been the primary aim of the Sugar Institute, a trade association of cane sugar refiners that operated from 1928 to 1936. In "Narrative Evidence on the Dynamics of Collusion: The Sugar Institute Case,'' (with David Genesove), in the American Economic Review in 2001, we explore the theory of collusion by a detailed examination of the Institute's workings as revealed by the internal business memoranda prepared by one of its participants. Our analysis reveals how firms may alter their environment to enhance the probability of detecting price-cutting through both specific rules and institutional structure. In particular, an important role for the Institute was to serve as a forum for communication between members of the industry. In practice, these communications provided advance notification of changes in business practices, a method of coordination of behavior, and determination of guilt when a firm was accused of violating the industry's Code of Ethics. An important empirical issue among industrial organization economists is how to measure or infer market power when a researcher is unable to observe marginal cost, and therefore the price-cost margin. In "Testing Static Oligopoly Models (with David Genesove), published in the Rand Journal of Economics in 1998, we evaluate the widespread methodology of using demand information to infer market conduct and unobserved cost components under the hypothesis of static oligopoly behavior. We compare the estimated measures to direct measures, and find that the methododology is largely validated, although partial cost information can improve its predictive power. I have an ongoing interest in political economy issues. In a paper with Sara Fisher Ellison, "Gradual Incorporation of Information: Pharmaceutical Stocks and the Evolution of Healthcare Reform,'' in the Journal of Law and Economics in 2001, we study how the political debates surrounding healthcare reform in the early months of the Clinton Administration affected investors' views of the value of pharmaceutical firms and how the information inherent in those debates was incorporated into pharmaceutical stock prices. Our conclusion is twofold: First, the effect on pharmaceutical stock prices of the debates alone, absent any legislation, was very significant, an over fifty percent decline by one measure. Second, traditional methods, such as event studies, which rely on researchers' ex post identification of important intermediate events, miss a large portion of the overall effect that we identified using a new technique, isotonic regression. Currently I am working on several projects. First, Chris Snyder of Dartmouth College and I are studying the deterrence of corporate crime, and the circumstances under which employees should be targeted for corporate wrongs. Second, David Genesove of Hebrew University and I are studying the implementation of the Trading With the Enemy Act of 1917, and the Alien Property Custodian, as a natural experiment for sale of corporate assets. Finally, I an engaged in further work on the gradual incorporation of information into stock prices, with Sara Fisher Ellison of MIT.